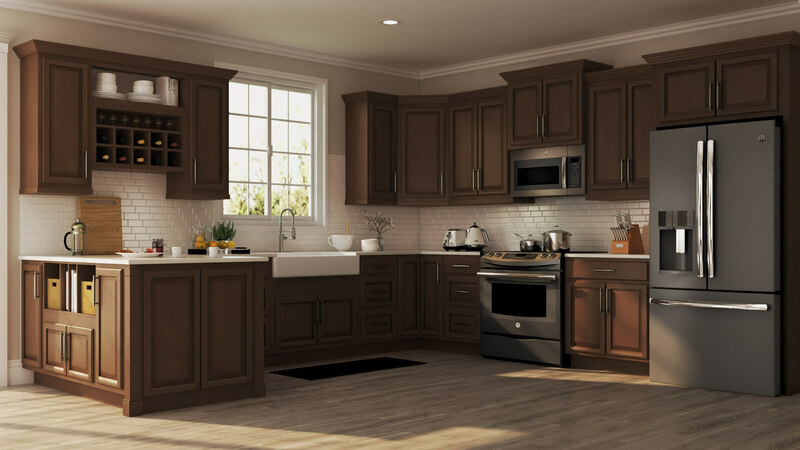 There are many factors to consider when choosing your cabinetry that will affect the overall look of your cabinets. Contact Avoca Ridge Ltd. Design & Woodworks, and we will help determine the best option for your project. Choose from our semi-custom line of Wellborn Cabinets that are manufactured in Ashland, Alabama or our fully custom cabinet line. All of our cabinetry options are proudly made in America. You take the time to select home accents that will reflect your personality and that will fit your lifestyle. We believe your cabinets are just as important and are part of the essence of your character. Avoca Ridge Ltd. offers an extensive selection of door styles, wood species and finish combinations. Our color palettes are created with the use of both stained and painted finishes, many of which can be enhanced with a glaze highlight and finish techniques for an aged or heirloom look. Below are our countertop options and what features set them apart. (Formica, Wilsonart, Pionite, Nevamar) have a huge selection of colors and patterns available to choose from. Laminate countertops are the most economical but they can be damaged by knives and hot pans. Wood Tops and Butcherblocks have been around for ages and can be very effectively used as a countertop, but they will require scheduled maintenance to keep them properly sealed and looking good. Concrete is being used more and more as a countertop material but it has limited uses. It can be formed and polished to look like terrazzo stone but it is susceptible to cracking over time. (Corian) countertops are extremely waterproof, but they are susceptible to stains, cuts and burns. Quartz is a granite chip material in which the patterns and colors are very consistent. Natural quartz resists scratching, staining and needs very little maintenance. Marble is a beautiful natural stone with an elegant and classy look. Marble countertops can be used in a kitchen, but are more commonly used in bathroom and furniture settings. Marble is a porous material that can stain easily if not sealed often and can scratch easily. Granite has been around since the formation of the earth and is mined in slabs from various locations around the world. Granite is an outstanding countertop material for your home. It is 100% natural and composed of a variety of minerals making it one of the hardest stones next to diamonds. Granite tops require little or no maintenance to keep them looking great. The quality of granite can vary greatly but Avoca Ridge Ltd. only uses reputable dealers for their granite countertop suppliers. Cultured Marble is a man-made material that is a more economical and durable alternative to real stone. Cultured marble is available in a granite/speckled pattern, solid color, veined marble or onyx look. Cultured marble is resilient, hygienic and easy to clean with non-abrasive cleaners and is often used for bath vanity countertops.